Scottish soldier and diplomat (1673-1747). 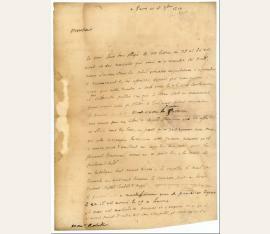 Autograph letter signed ("Stair"). Paris. 4to. 1½ pp. 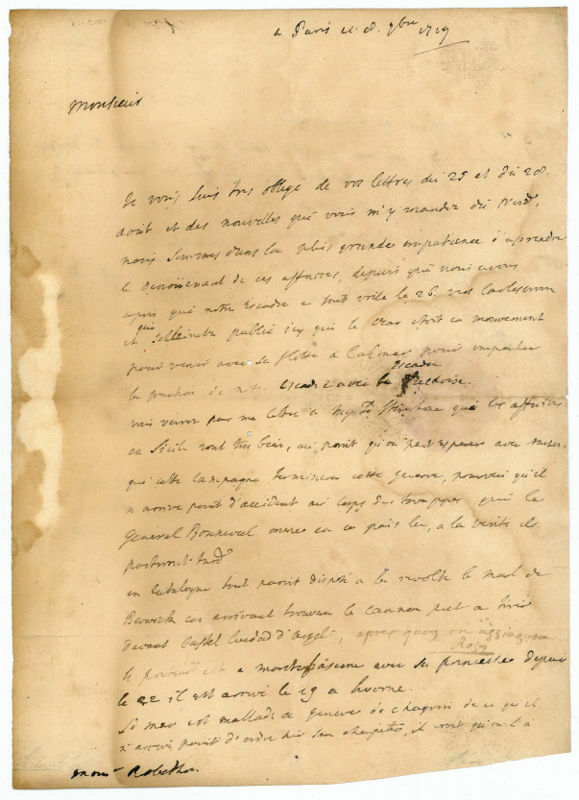 An important historical letter full of details about political events of the time, including news about British military support for both Sweden and Spain in the ongoing war, the Czarist fleet which has moved to Calmar in southern Sweden to prevent the British and the Swedish fleets from meeting, and about matters in Sicily (which are said to progress very satisfactorily). - Somewhat browned and waterstained.